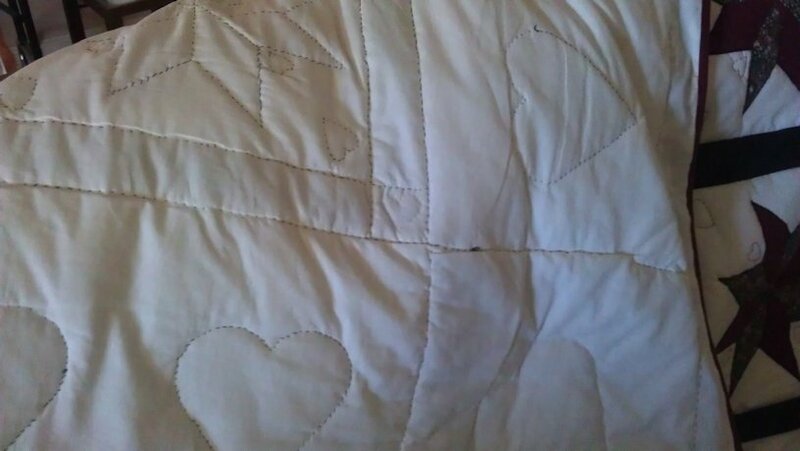 There was a lot wrong with it, including the horrible hand-quilted stitches I did in black thread on white. 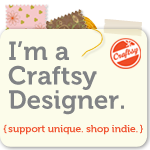 Yes, there was a time when I hand-quilted… long before I knew you could quilt on a machine! The stitches looked OK on the front, but they were shockers on the back. 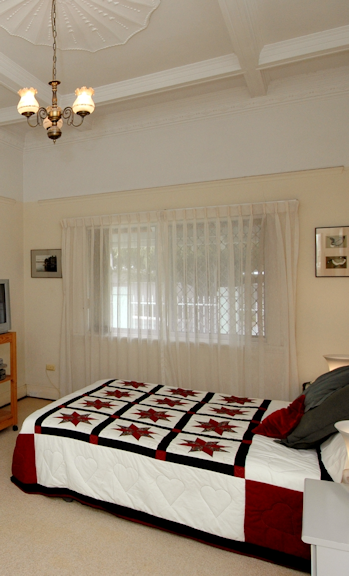 I remember stitching this big quilt inside a 16″ quilting hoop… I must’ve been MAD. As I was out of Community Quilts to quilt over the summer break while the coordinator was taking a well-deserved break, I decided to tackle this old quilt to try to breathe some life back into it. 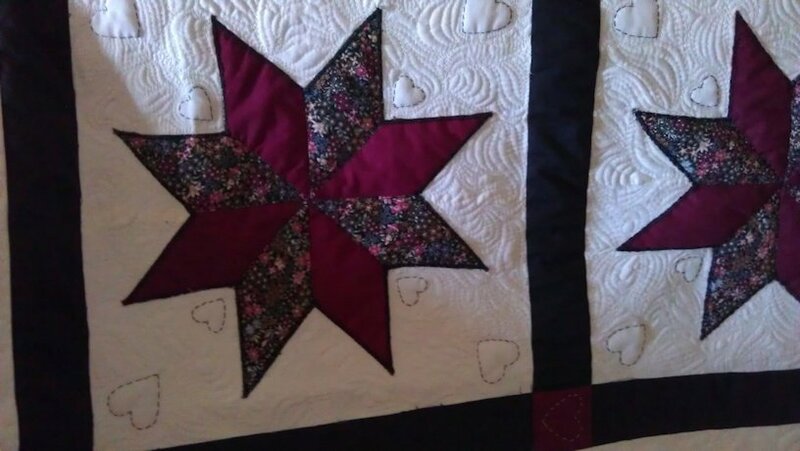 The first task was to stitch in the ditch around all the blocks and all the arms of each star. I started with invisible thread, but it kept snapping, so as my patience was wearing thin, I decided not to persevere with it and swapped to a slightly off-white thread (with black inside the stars). 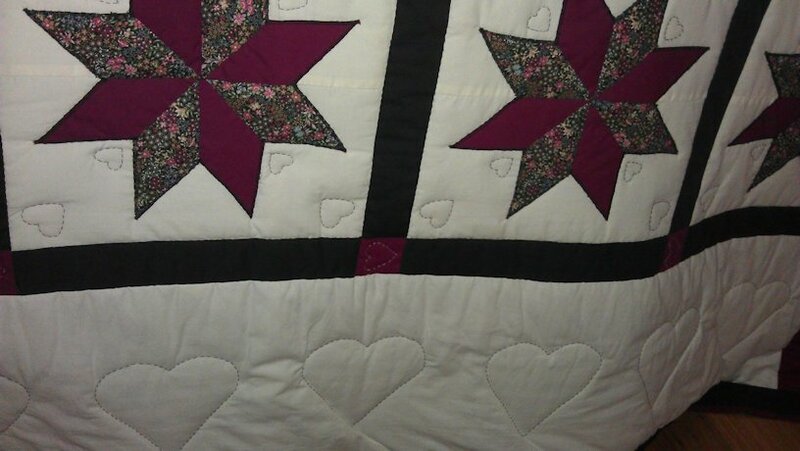 I decided to quilt the start blocks with McTavishing, making sure that I went up to but didn’t go into the little stars. I left the hand stitching on those. 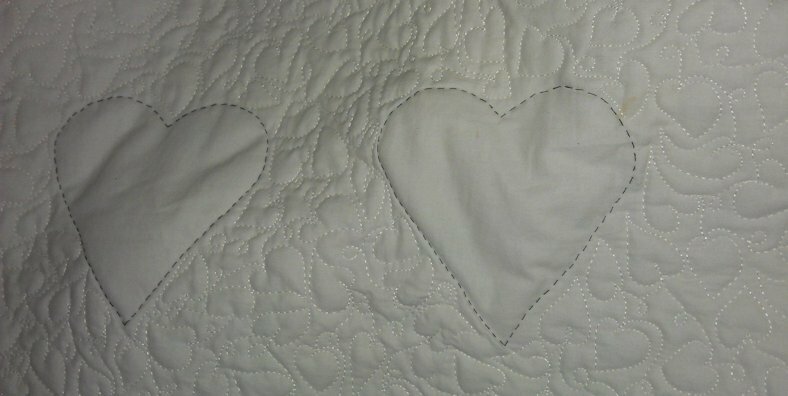 For the main border, I stitched lots of hearts and loops, again leaving the big hearts and the hand stitching for those. 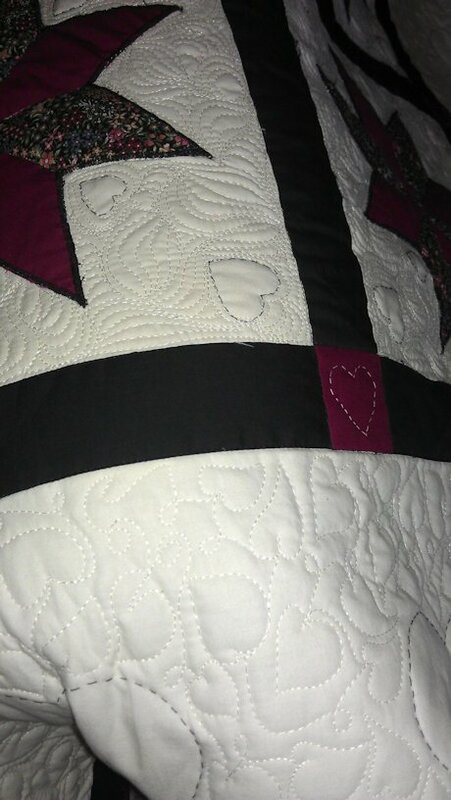 I didn’t quilt the black sashing strips or the maroon keystone pieces (in the sashing and the main border). Who knows what batting I used in it! It was quite puffy, so it was probably a polyester wadding. It was puffy in some places, thin in others, overlapping in others (I could feel the overlaps), and non-existent in others mostly at the other border where I had obviously run out! The binding was done with bias strips (who uses those anymore?) and was very uneven. 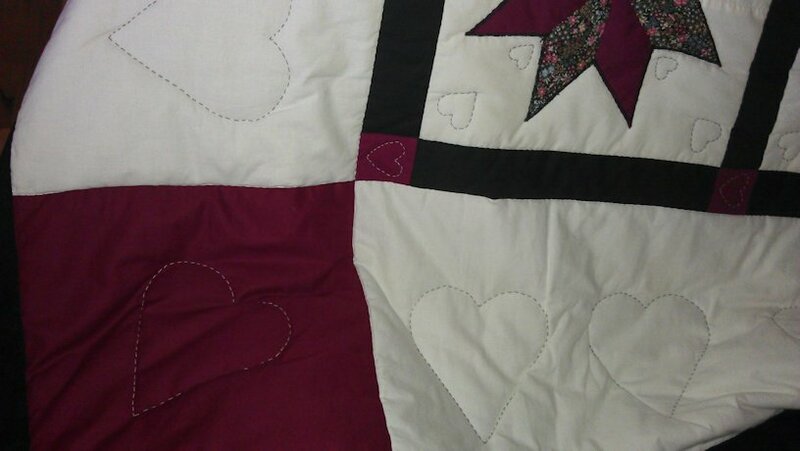 In fact the whole outer border was a bit of a mess, so I didn’t try to quilt it. I left it as it was, though I did stitch in the ditch in the borders. Puckering was obvious once I started quilting. It was probably a result of not cutting correctly on the grain. Where possible I either stitched it into submission or left it if at the outer border. Marks on the fabric. There were a few marks on the fabric that looked like rust. As this quilt has hardly been used, who knows where they came from or how long they’ve been there. I didn’t try to remove them. Colour fastness. I was surprised how well the colours have stood the test of time. None of the fabrics or the black thread appeared to have faded and none of the black thread I removed left any black dye. I doubt these fabrics were made or treated the same way as quilting cottons today, and it’s likely that some were just cottons from a fabric store, not special quilting fabrics. I was quite pleased with the end result. The ‘McTavishing’ definitely is to my liking and was the perfect updating it needed. It’s so interesting to see how our concept of “quilting” has changed over the years……from simple hand stitches to the elegant machine motifs done today (even, at times, the risk of ‘over quilting’????? I’ve heard some say it!). You did a beautiful job!!!!!!! !